New Make-Your-Own-Burrito Station at Pop Century Resort Food Court! Thanks to @1SanFran for tweeting the great news that one of our favorite resort food courts just got a little be better (if that was possible!). 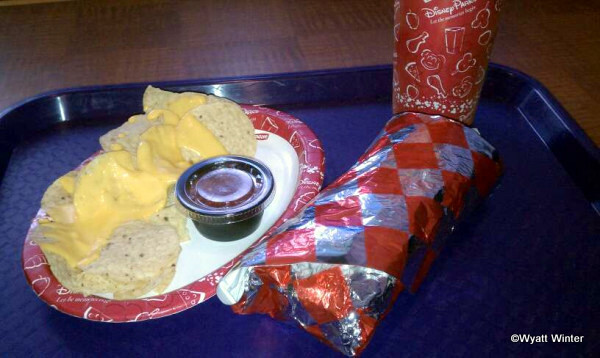 Pop Century Food Court is now offering a make-your-own-burrito station! And is that plastic cheese I see on the tortilla chips?! Hubba, hubba! 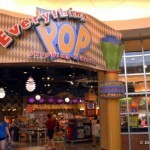 Our source mentions that the chef at Pop told him there were similar pasta and salad stations at other resorts as well. Can’t wait to get burritos the next time I’m at Pop!! 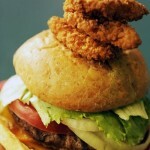 « Disney Food Blog Birthday e-Book Sale! Last week during my visit, at lunchtime the station on the right — where you typically get the lo mein dishes — had burritos instead. The CMs make the burritos to your order (what filling and topping you want). In the evening the menu at that station was back to the other dishes, not burritos. I was at the Pop 2 Saturdays ago, I was not paying attention and missed the burrito bar. So sad. I have some free time on Sunday while I’m there during lunch. I was thinking of taking a ride to DTD and going to Earl of Sandwich. I may just stay at Pop and get a burrito. I’ll see how I feel that day. 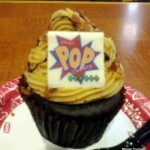 I have stayed at other resorts around disney and even though PoP is on the value side- they always have the BEST food. Atleast the best comfort food! Heather, I’ve had the make-your-own salad at All Star Music. It was a good salad and a great option! I ate at the Make-Your-Own-Pasta station at Port Orleans – Riverside a while back. There were lists of pastas, sauces, meats and veggies – I think you could choose one from each of the first three lists and then as many veggies as you wanted. The castmember combined everything in a bowl and then sauteed it in a pan until it was hot. Then, it was served in a rectangular carton (like Chinese take out). I thought it was pretty good and would get it again. Praying the beans,rice, & tortilla are vegan~! I love burritos1! 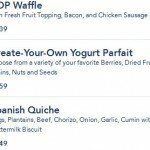 I wonder if the chips come with it and if you also get a dessert and drink with it as well on the Dining Plan. 🙂 Best website ever BTW! I did this for lunch this past weekend at Pop. It works like a Moe’s Southwestern or Chipotle’s. You get rice, black beans and cooked veggies (bell peppers, onions) on your tortilla. Then, you tell the Cm what else you want on it. Options were jalapenos, lettuce, tomatoes, onions, sour cream, guacamole, shredded cheese, black olives. The chips come as a side and you can get cheese sauce on them. You can also get a cup of salsa. The burrito bar is only available at lunch. For dinner the stations revert to pasta and Mom’s Night Out regular options. the burrito was good. Not as good as Chipotles or Moe’s but it definitely fixed my burrito craving. I forgot to add, you also get your choice of meat. Or not, if you want vegetarian. I went with Chimichurra beef. I believe they also had pork and chicken. Thank you Susan! They sound really good, and great that you can go vegan if that’s what you want. 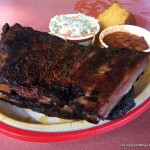 I would love to try this but I might miss it as I’m in the parks in the afternoons. No nap for me lol! I wish they offered it in the evenings too. Maybe they will eventually *hopes* :). Going to DisneyWorld September 2013. Staying at Pop Cenutry. Was there in 2010. Sounds like they have few new food items. can’t wait to to go to Art of Animation. Hear food is great. Got the free meal plan..